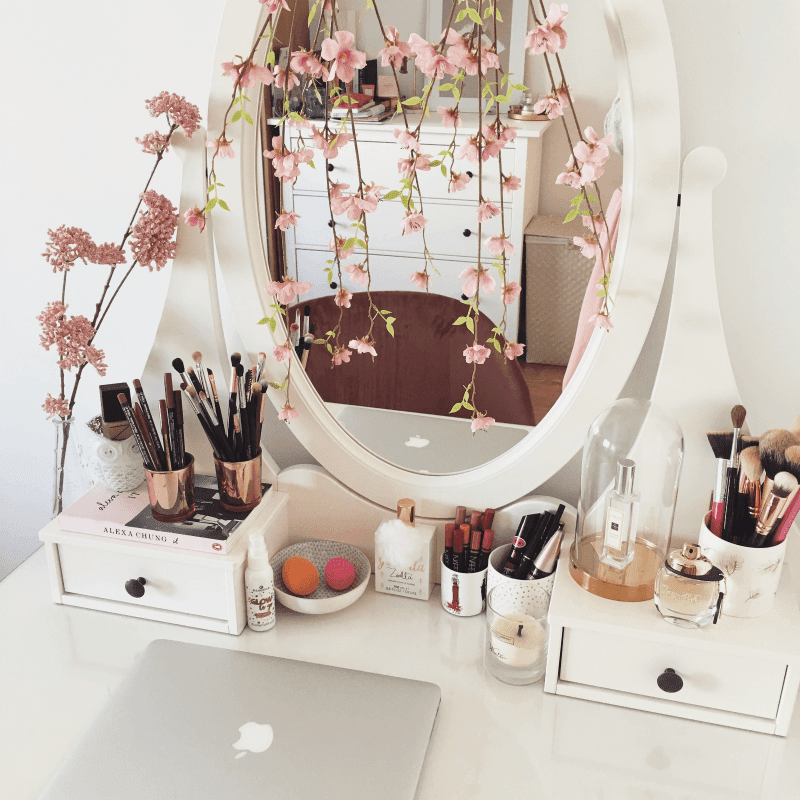 My vanity table is the focal point of my bedroom and I love rearranging the setup every now and then to give it a refresh. 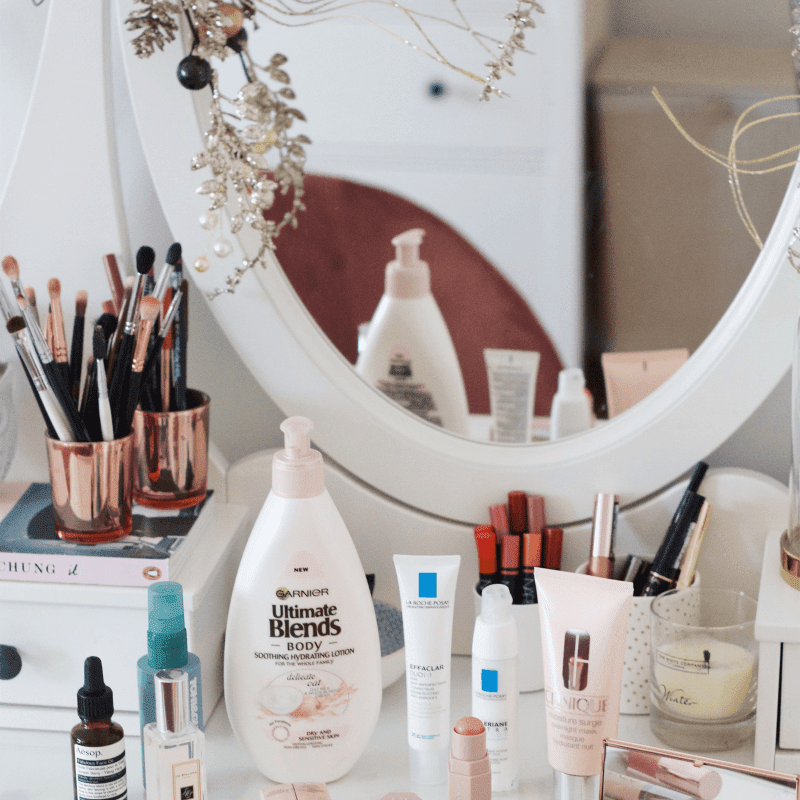 It's quite a plain dressing table so one of my favourite things to do to spruce it up is to style it for each season, and for today's post, I want to share my top tips for dressing your vanity table seasonally. I buy all of my garlands and flowers for the table in Meadows & Byrne but I'm sure there's similar stuff available in other homeware shops like Home Sense etc. 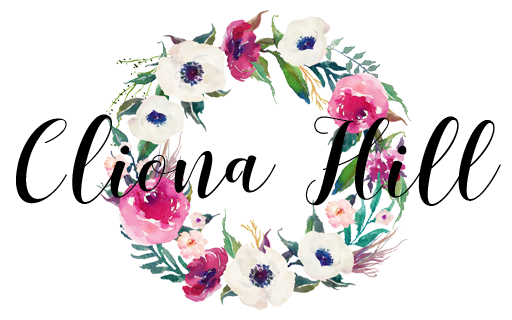 Spring and Summer are similar seasons in terms of flowers and bright colours, and it's a lot harder to discern them from each other so I decided to keep the same setup for both seasons. 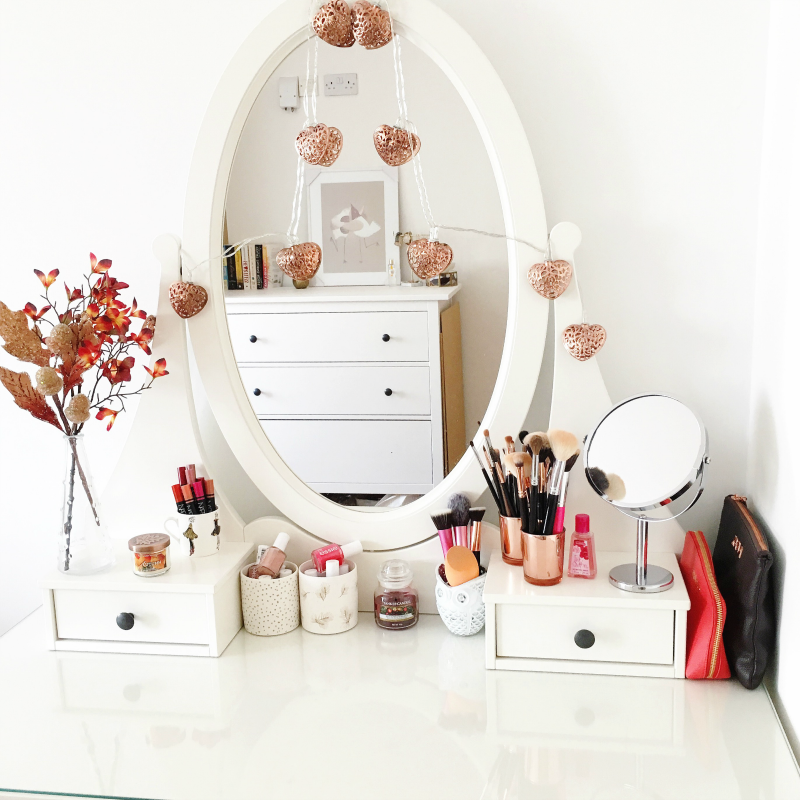 As well as the statement flowers and sparkly garlands, I also like to add practical things to my table such as makeup brushes and I also like to display some of my products in little pots because I like the 'lived in / organised mess' vibes. 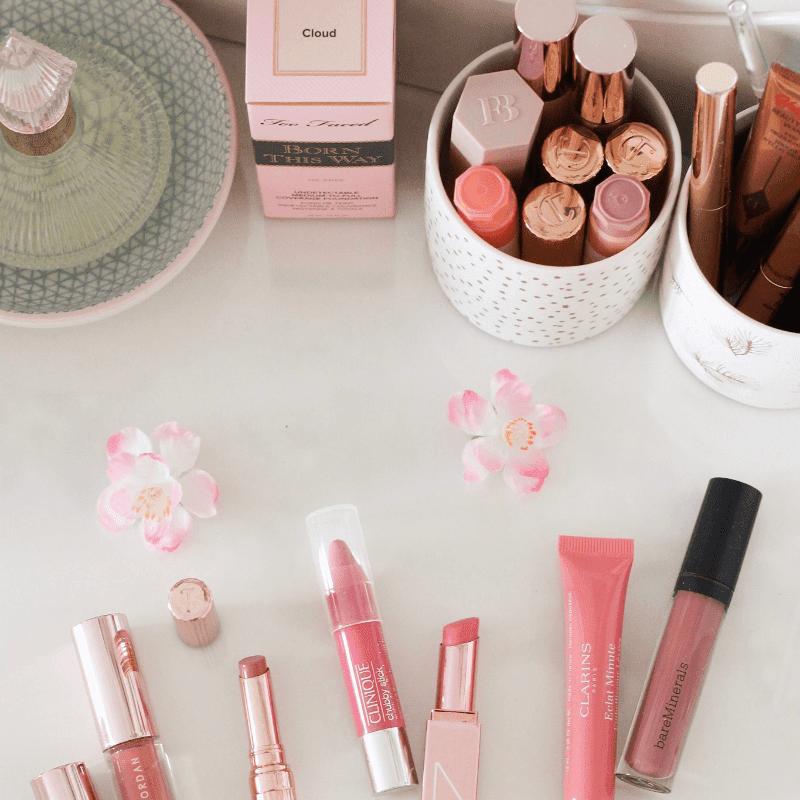 Florals Everywhere: For the Spring/ Summer seasons I wanted my table to resemble a Spring orchard, filled to the brim with delicate cherry blossoms and soft pink hues. 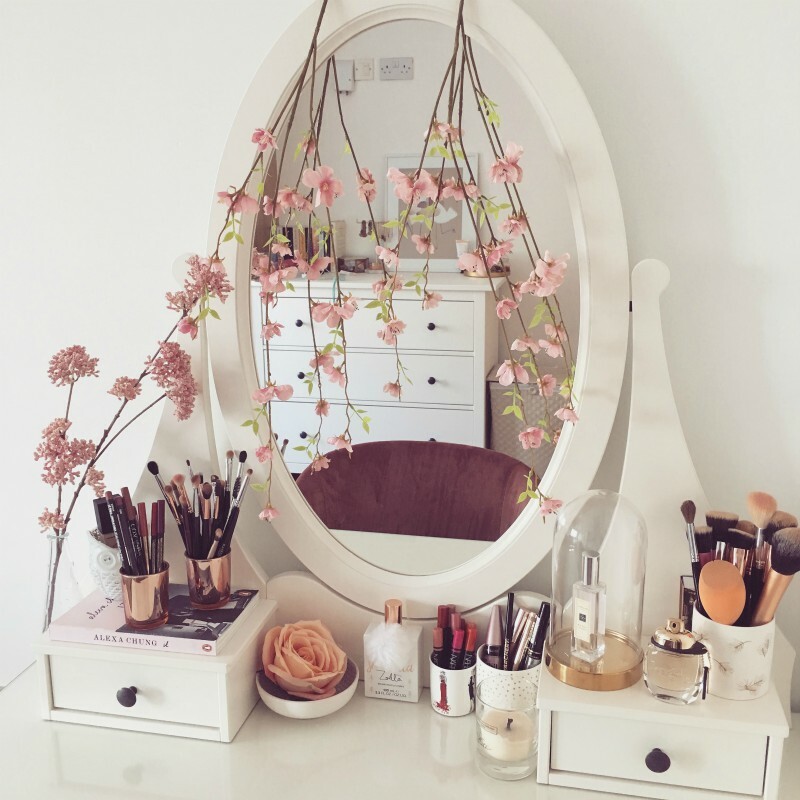 To achieve this I displayed some faux cherry blossoms dangling down in front of the mirror and I also placed a long stem of pink flowers on the side of my vanity too. 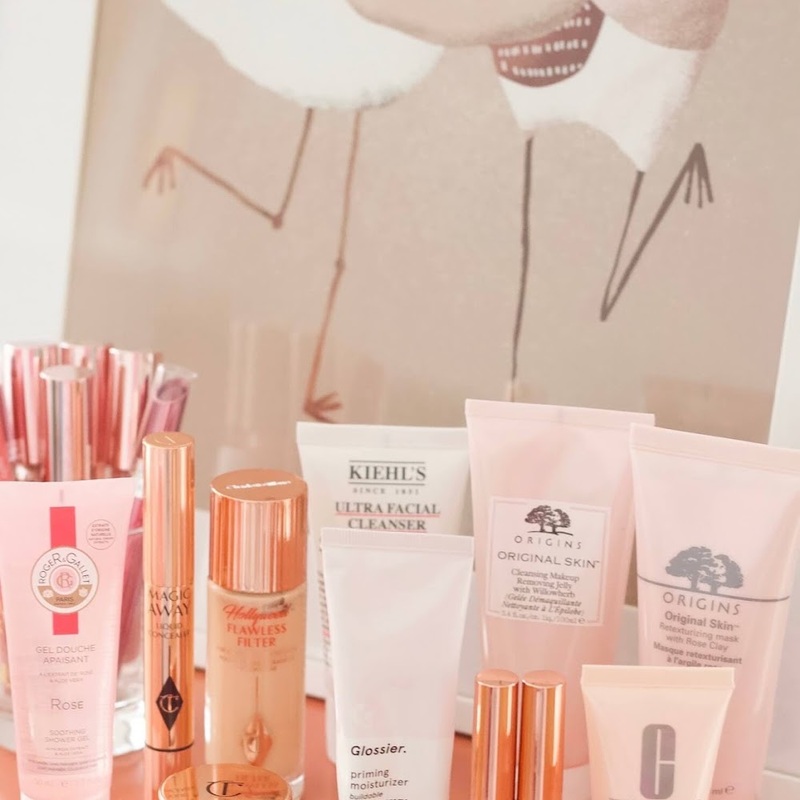 Summer-themed Beauty Products: This tip applies to Autumn and Winter too but a simple way to refresh your vanity for the Summer would be to add any summer-themed products like floral perfumes, any citrus scented products or any limited edition summer collections you have in your beauty collection like Zoella's Jelly & Gelato range from last year or the Tom Ford Soleil or Clarins Summer ranges they release every year for example. 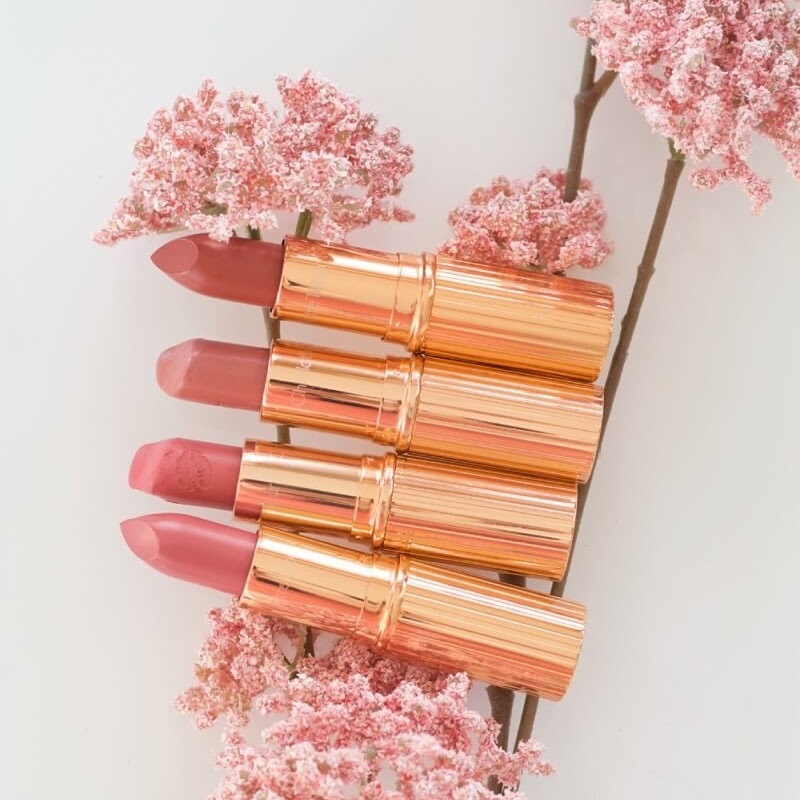 Rich Autumnal Hues: My goal in Autumn is for my dressing table to be emblazoned in quintessential hues traditionally associated with Autumn. Think blood reds, rich burgundies, rust /coppers and even oranges or yellows. Candles: Adding Autumnal candles, preferably ones that have a red, purple or burgundy coloured wax like the Yankee Candle Cinamon Stick or Home Sweet Home candles. I had the 'Autumn' candle from Bath & Body Works which has a copper lid with a leaf engraved on it so it was perfect. Fairy Lights or Garlands: Fairy lights and autumnal garlands can be found in abundance, scattered around shops, cafes /restaurants etc. 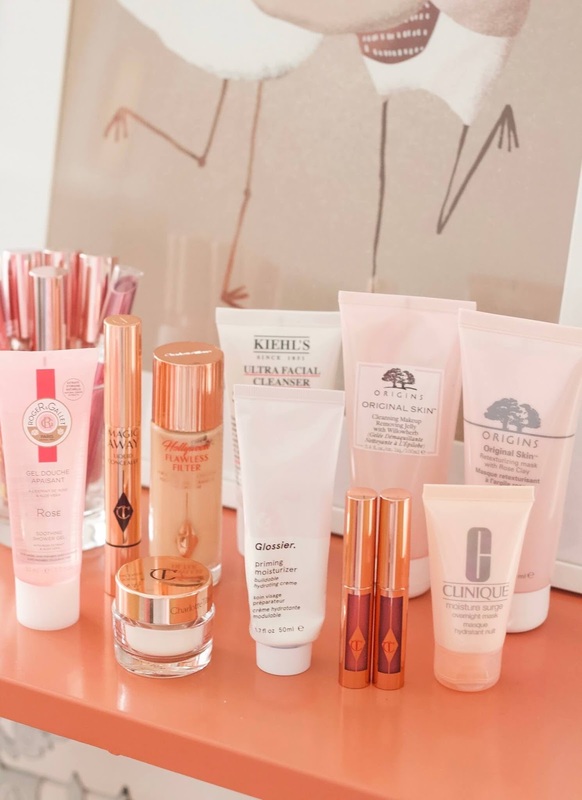 during Autumn time so I like to incorporate that into my dressing table as soon as Autumn arrives. 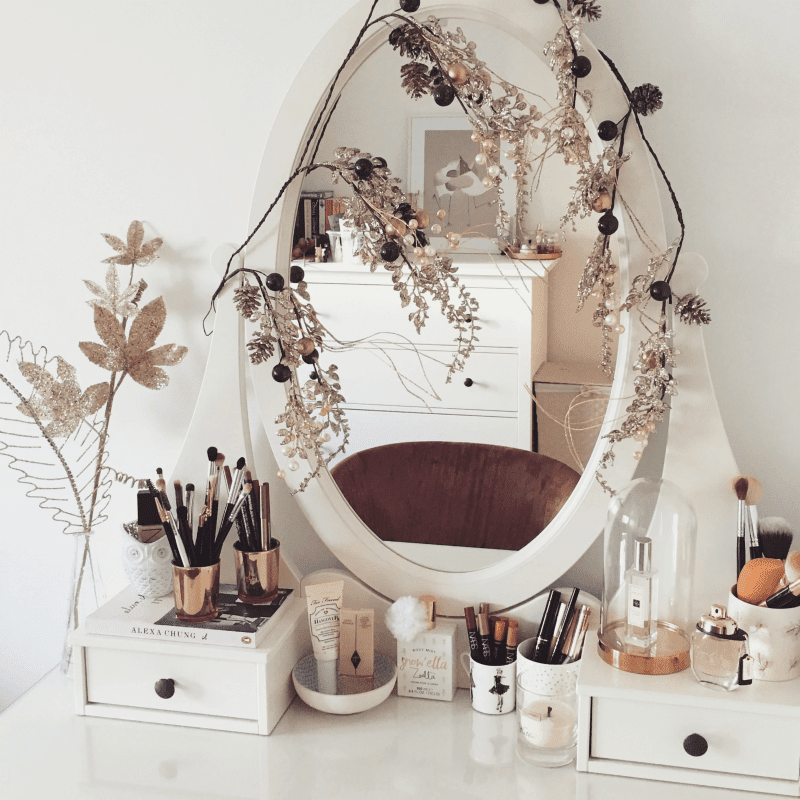 For last year's setup I had copper fairy lights draped along the mirror but this year I think I'll hunt down an Autumn garland for the mirror instead. Add Sparkle: I wanted something extravagant and sparkly for Winter and Christmastime, and I think I managed to achieve a setup that looked festive but that also worked in January and February too to brighten up the dreariest months of the year by adding the sparkly garland, the big feather and leaf decoration. 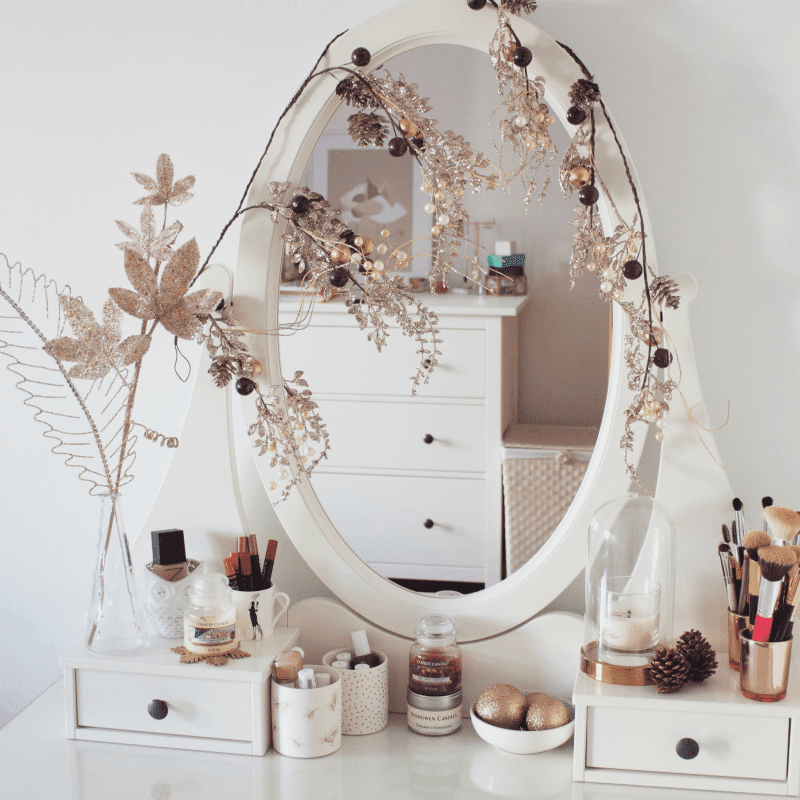 Pinecones: Pinecones are great props for a vanity table for both the Autumn and Winter months as they're usually associated with the chilly seasons of the year. My pinecones have gold spray paint on them too, making them even more festive for Christmas. 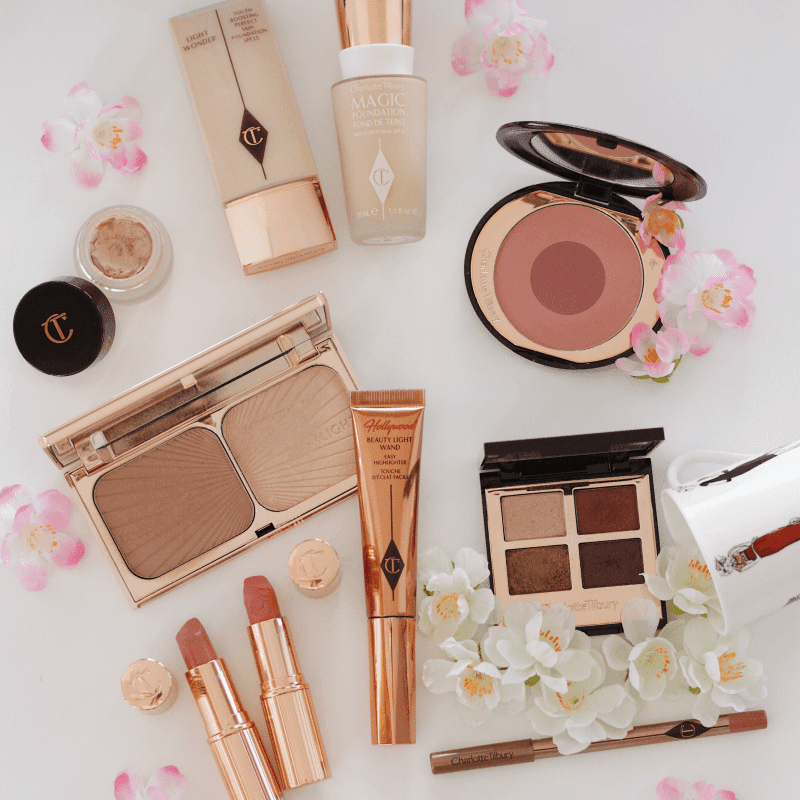 Gold: Adding gold trinkets to your vanity will instantly give it a Christmassy vibe, especially if you use baubles, snowflakes etc. Christmassy Details: What set my Winter setup vs my Christmas setup apart was the little additions of Christmas decorations. For example, I filled my little bowl with gold baubles at Christmas but in January I replaced them with some beauty products. I also had some Christmas Yankee Candles on the table and one of those candles was sitting on top of a gold snowflake. Which seasonal setup is your favourite?